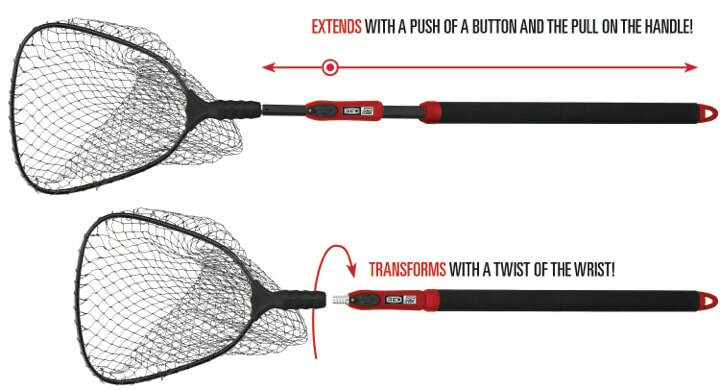 The revolutionary EGO S2 Slider landing net is a fishing net that utilizes the most advanced handle extension technology available in the market place today, and is designed specifically for the freshwater and light inshore saltwater fishing enthusiast. With a simple pull or push of the foam grip, the S2 Slider handle can be easily deployed to net, gaff or release a fish and then be quickly retracted. The innovative modular platform also allows the handle to detach, providing accessory interchangeability and compact storage for anglers with limited boat space.